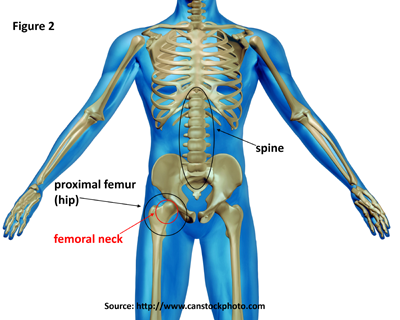 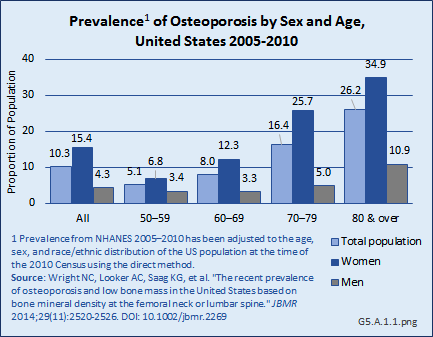 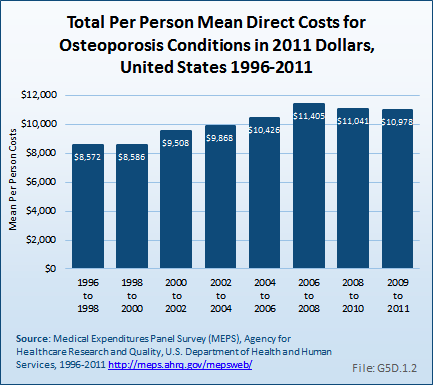 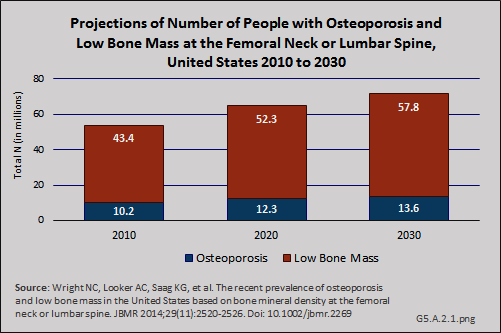 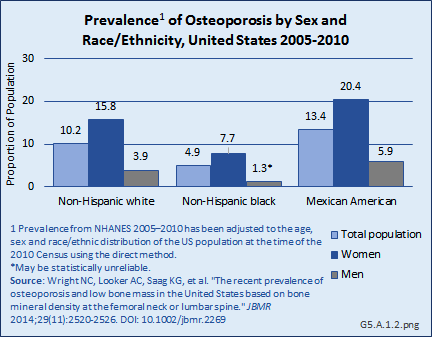 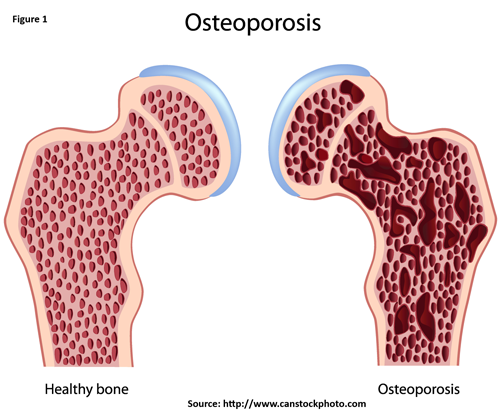 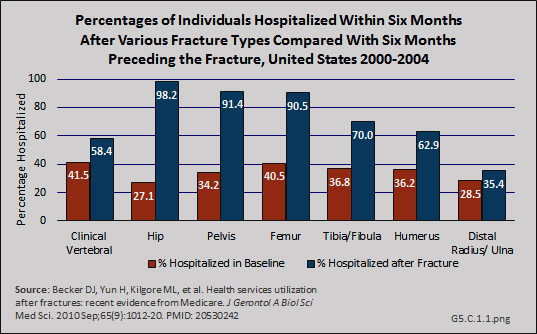 While the incidence of hip fracture appears to have declined overall since the mid 1990s, as discussed in a previous section, hospital discharges from the MEPS database related to osteoporosis were 44% greater in 2009 to 2011 than they were in the years from 1996 to 1998. 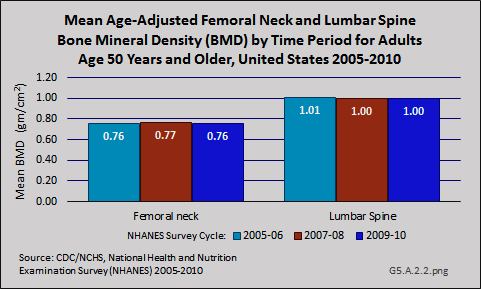 Recent years, however, have shown a decline after peaking in 2001 to 2003. 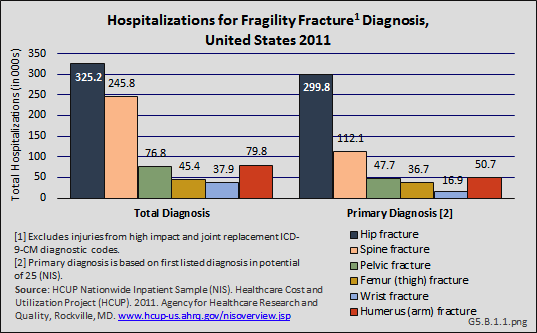 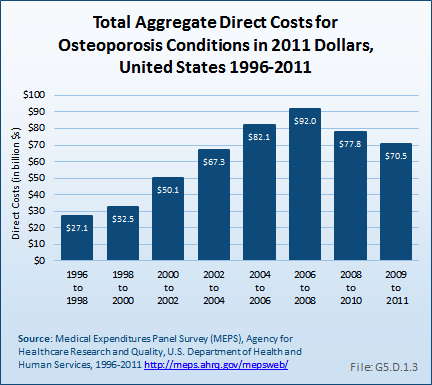 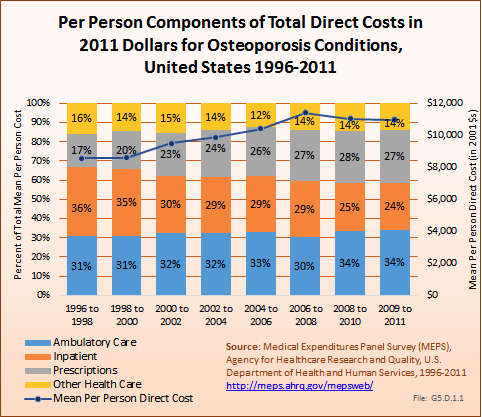 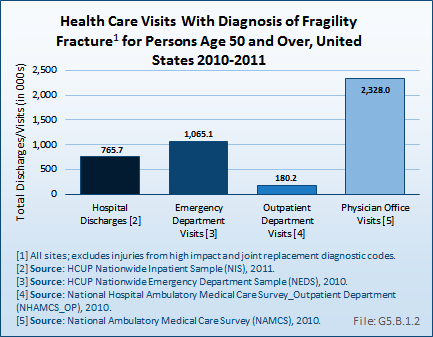 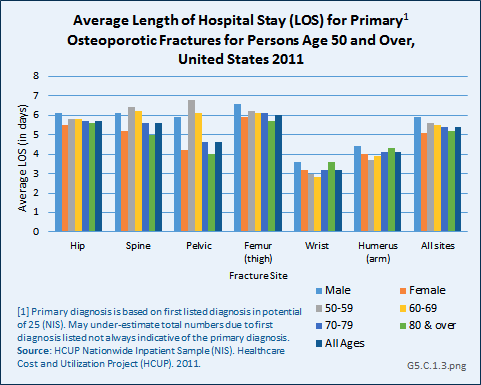 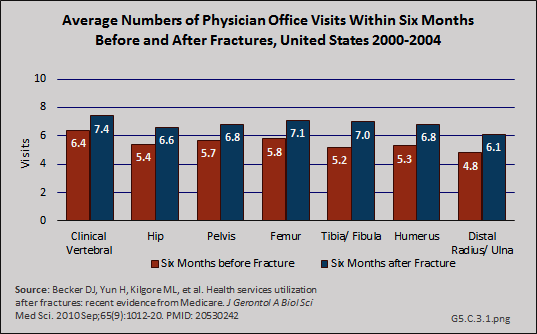 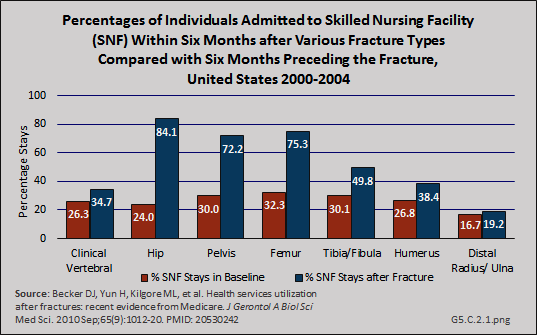 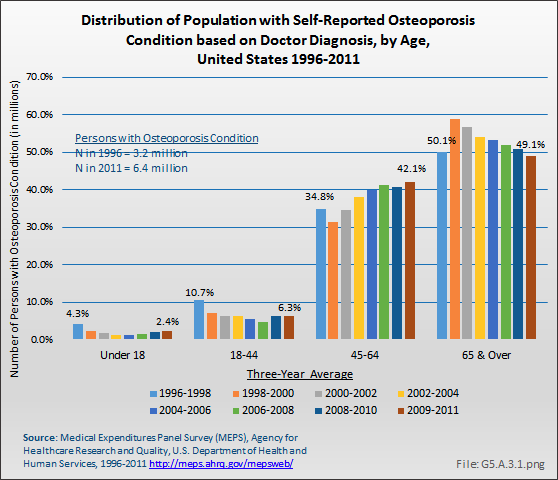 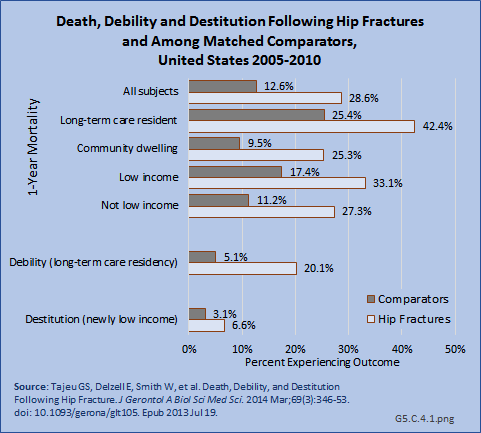 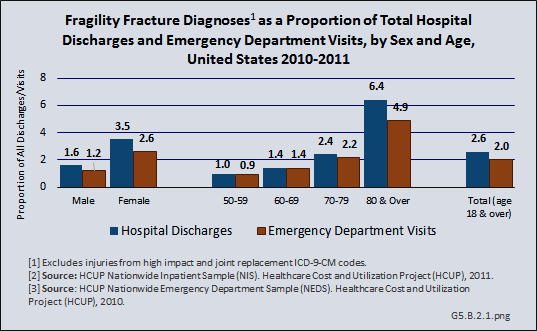 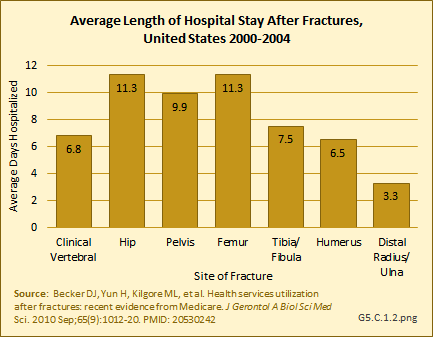 (Reference Table 10.2 PDF CSV) This increase in hospitalizations likely reflects the increase in older population cohorts as the Boomer generation enters the prime years for fracture incidence.